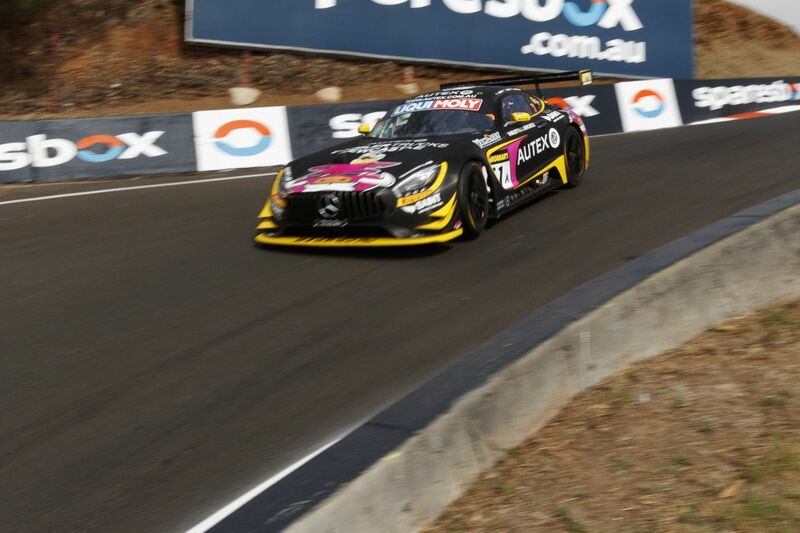 Defending Bathurst 1000 winner David Reynolds will return to Mount Panorama next month to contest the Liqui-Moly Bathurst 12 Hour in a Mercedes. The Erebus Motorsport Supercars driver has been signed to share a Mercedes-AMG GT3 in the Pro-Am class with John Martin, Liam Talbot and car owner Mark Griffith on February 2-4. Reynolds raced with Griffith in last year’s event, which the Mercedes failed to finish, and the 2018 edition of the GT enduro will be his fourth 12 Hour start. His best result of fifth came in 2016 with Erebus in its older-model SLS AMG, alongside German pair Thomas Jäger and Nico Bastian. 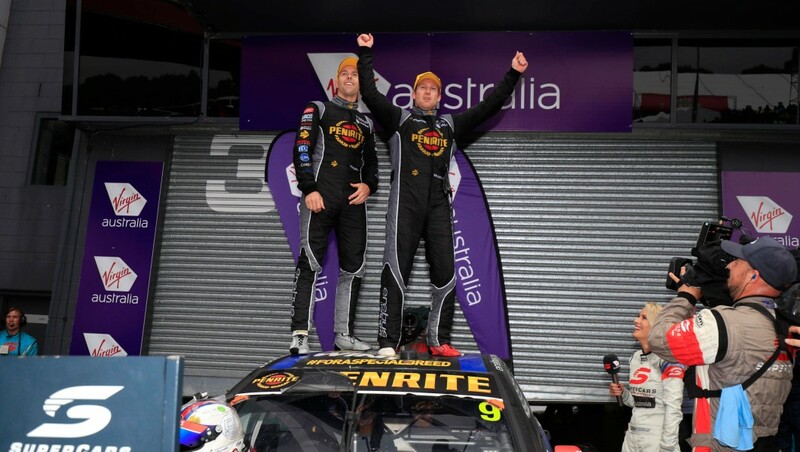 For their part, Martin and Talbot won the Pro-Am class in a Walkinshaw Racing Porsche last year with fourth outright. “It’s probably one of the best races you go to for the year as a driver,” Reynolds told Supercars.com. “It’s very relaxed, the cars are quite cool to drive - even though they’re nothing like what we normally drive in Supercars, it’s a lot of fun. Last October, Reynolds claimed a famous maiden Great Race victory alongside Luke Youlden. The 32-year-old finished his second Supercars season with Erebus seventh in the standings, and as the winner of the Barry Sheene Medal. "It's always a good feeling when you know you’ve won at a track before," he said of going back to Bathurst for the first time since winning the 1000. "It is the best racetrack in Australia; any chance you get to drive it, it doesn’t matter if you’re in a taxi or an Uber, you love it. "The first [12 Hour] stint’s always the best if you can do that. It’s generally the hardest because it’s at night time and it’s like driving down a highway with everyone with their high-beams on behind you and it pisses you off! "You can’t see where you’re going, so it’s kind of a challenge but it’s cool. "If a car spins in front of you, like what happened to us last year, you literally have a tenth of a second to react to it, otherwise you’re going to crash into him." next week, joins a strong list of Virgin Australia Supercars Championship drivers starting their 2018s at Bathurst. 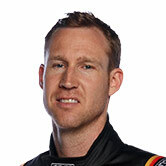 Seven-time champion Jamie Whincup and Tickford Racing’s Cameron Waters will join Reynolds in the Mercedes camp. Whincup’s Triple Eight stablemates Craig Lowndes and Shane van Gisbergen will share a McLaren, with Shell V-Power Racing’s Scott McLaughlin in YNA Autosport’s sister entry and Tim Slade also in a 650S. BMW’s charge will include Chaz Mostert, fresh from his successful Asian Le Mans Series campaign, while Garth Tander and Lee Holdsworth are both in Audi entries.